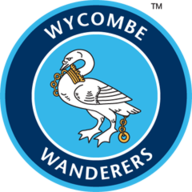 Highlights of the Sky Bet League Two match between Wycombe Wanderers and Crawley Town. Craig Mackail-Smith struck an 11-minute hat-trick as Wycombe got back to winning ways in emphatic fashion with a 4-0 thrashing of Crawley. It was the Chairboys' first win in six games, as they breathed new life into their push for promotion by turning on the style at Adams Park following a goalless first half. 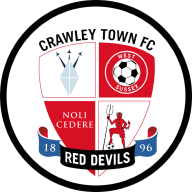 The hosts came within a whisker of the lead as Anthony Stewart headed Joe Jacobson's free-kick into the ground, with the ball bouncing off the bar. A moment of brilliance led to Wycombe going ahead five minutes into the second half, as Eberechi Eze surged into the area, going past three defenders, before finishing calmly. Their lead was doubled when Adebayo Akinfenwa found Mackail-Smith in space on the right and the former Scotland striker bent a first-time shot into the top corner. Mackail-Smith then struck twice in two minutes to complete his hat-trick, first with a brilliant finish off the underside of the bar from outside the box then after being put in the clear by Akinfenwa again.